I recently posted Piano In The Dark by Brenda Russell. The co-vocalist on the song was Joe Esposito. He also sang in a band called Brooklyn Dreams and they sang on lots of songs during the 70's including the distinctive male backing vocals on Heaven Knows by Donna Summer. 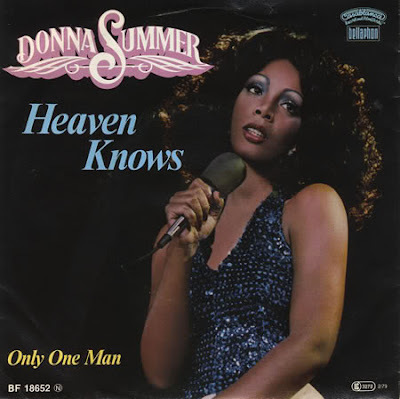 Heaven Knows got to number 4 in the US in 1979 and it's always been a really glorious disco song. Here is Donna's famous version with Joe Esposito and Brooklyn Dreams on backing vocals. And this is Brooklyn Dreams own version of Heaven Knows with Joe Esposito on lead vocals with Donna Summer on backing vocals. It's taken from Brooklyn Dreams album Sleepless Nights which was also released in 1979.